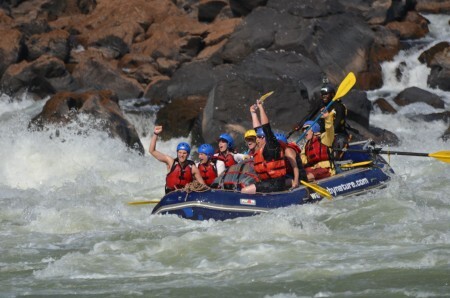 There are many varying craft on offer on white water rafting trips to enhance your adventure. 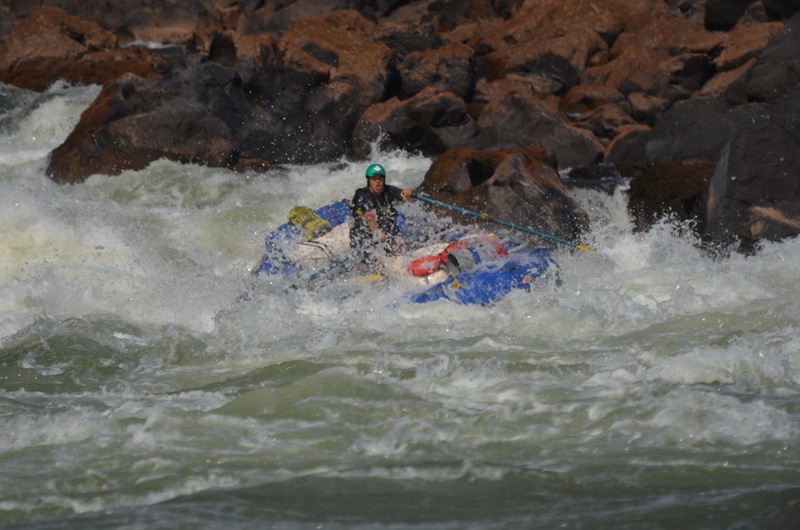 Each offer a different means to run rapids on a river, giving you safe options to challenge some of the biggest whitewater in the world, such as on the Zambezi or in Nepal. Other craft are there for your safety. 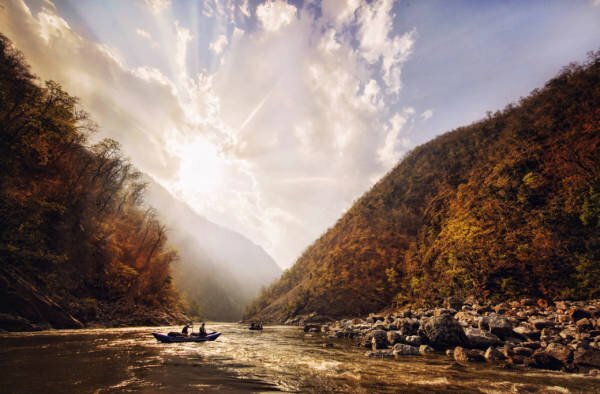 Safety kayaks and safety catarafts primarily run rapids first and wait at the bottom of rapids in strategic locations in case you should pop out of the raft. 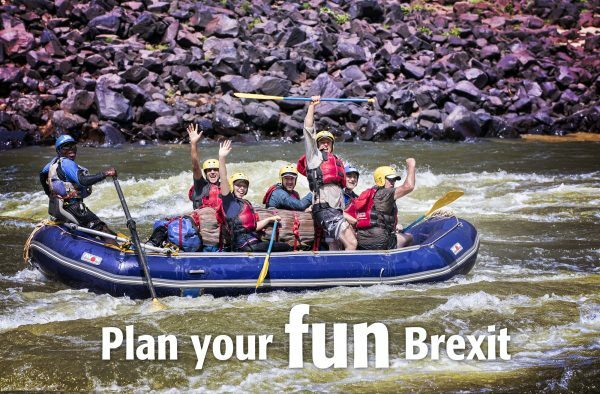 Paddle raft: This raft will have 6-8 paddlers plus a guide, who will give commands from the rear of the raft. 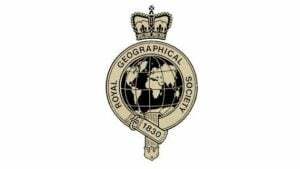 An extremely manuvreable craft which involves excellent teamwork. A common boat used on the steep creeks of California. 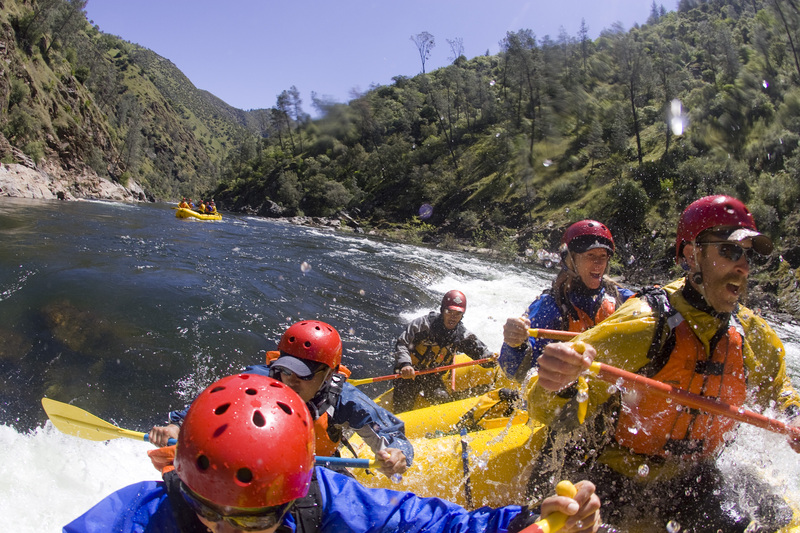 Paddle rafting at it’s best on the steep creeks in California. 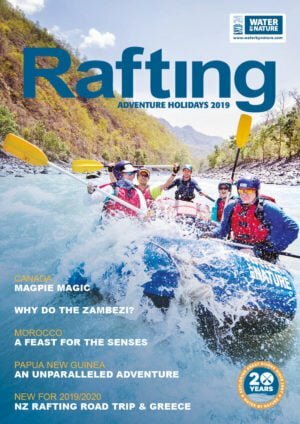 Stern Raft/Paddle Assist: This is an adaptation of the above craft, however the guide will sit at the back with a set of oars which allows extra power and stability in big water rapids such as in Chile and the Zambezi. Oar Raft: A boat that is traditionally used for equipment such as food, coolers, but on occasion, these craft can be used to take passengers too. 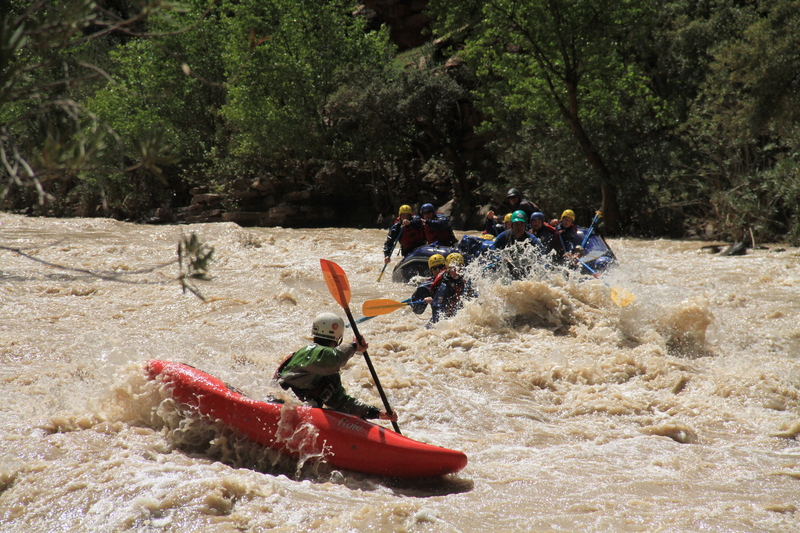 This is common on the Grand Canyon although traditionally most of our guests prefer to be active members of the team. Cataraft: A very versatile and fast boat that is used for safety on big volume or challenging rivers such as the Zambezi and the Futaleufu. Due to it’s excellent handling, it can also be loaded with equipment and used as a gear raft as is the case in Morocco. Safety Kayak: A boat that is primarily on a trip for your safety. 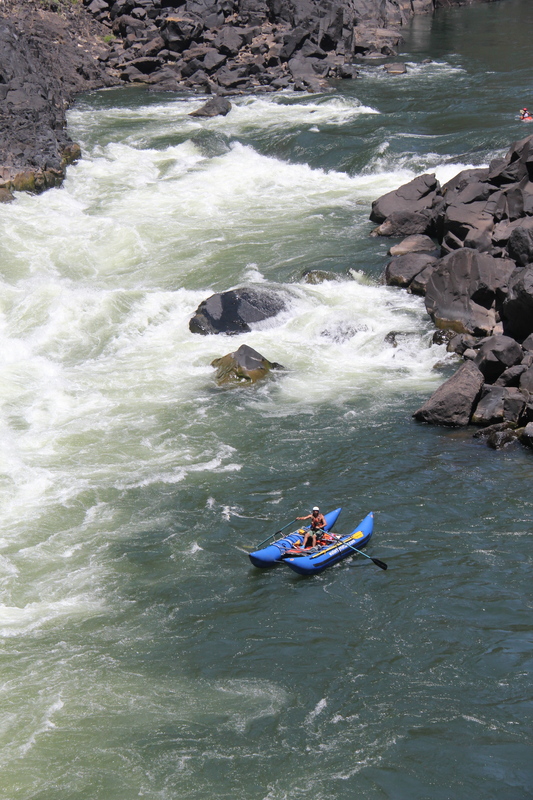 Safety kayaks are very nimble and fast craft that can be right beside you quickly, should you fall out of the raft. It is important that safety kayaks are of a large volume nature to enable the paddler to paddle a swimmer or swimmers downriver. 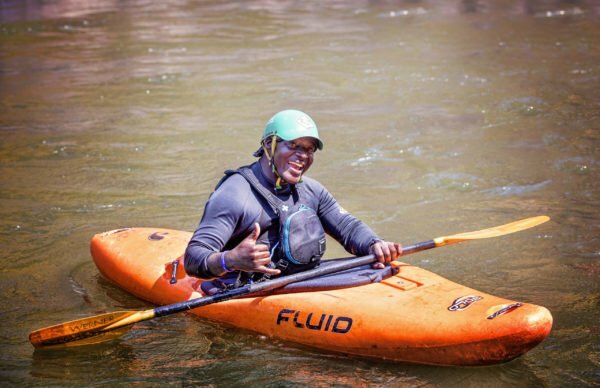 Inflatable Kayak: A very fun and stable craft that teaches participants the fundamentals of kayaking, however, without coming out of a traditional “hard shell” kayak, they would merely swim and be able to climb back in and paddle off again. Many options exist for paddling these craft around the world, but if you are feeling adventurous, why not give it a go on the Zambezi as part of our Ultimate Adventure trip.